At 10Eighty we’re great believers in sharing knowledge and expertise with our web visitors, clients and stakeholders. Over the years we’ve produced a number of free-to-download White Papers on a range of subjects including creativity, career agility, career engagement, employee retention and values in the context of employee engagement. Please take a look at our current White Papers and download any that catch your eye. We have more in the pipeline, so if you’d like to hear about our new White Papers as soon as they’re published please sign up to our mailing list. 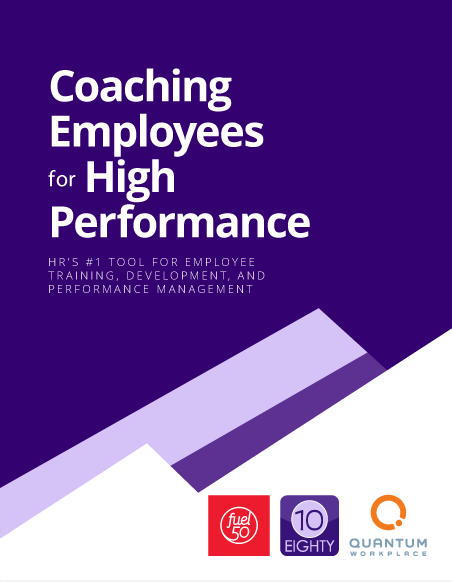 Our new White Paper “Coaching Employees for High Performance” was co-authored by Anne Fulton CEO of our New Zealand partners Fuel 50 and Natalie Hackbarth Inbound Marketing Manager of Quantum Workplace, an employee feedback software company. Together they provide a raft of insights into learning and development strategies, consider how to create a coaching culture, then delve into 2 of the key sub-species of coaching: manager coaching and peer coaching in the context of optimising employee engagement and talent management using the powerful career pathing software 10Eighty’s Fuel50. 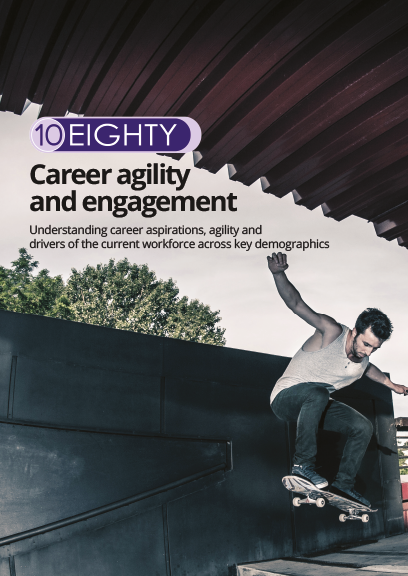 The research for our Career Agility and Engagement Report 2014 involved speaking to 1,000 individuals working all over the globe and analysed their responses by gender, age and career stage. 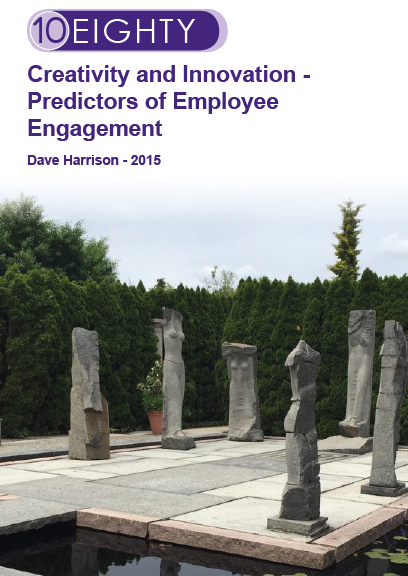 In 10Eighty’s White Paper ‘Creativity & Innovation: Predictors of Employee Engagement’, written and comprehensively researched by our Director and Co-founder Dave Harrison. 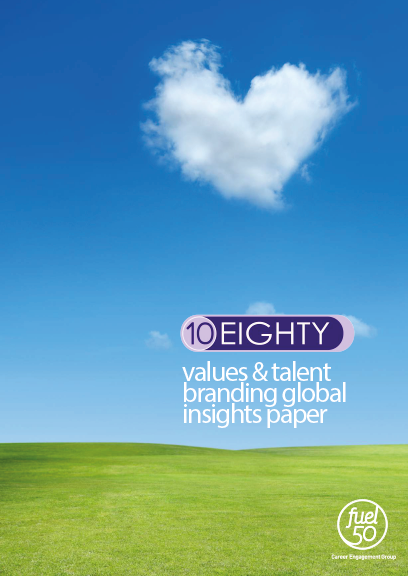 At 10Eighty we’ve been working with international clients across diverse industries to define their values in a meaningful way, and leverage these values to increase engagement and create a sustainable Employer Brand. Showcase key findings from our aggregate pool of tens of thousands of users across close to 100 global organisations. 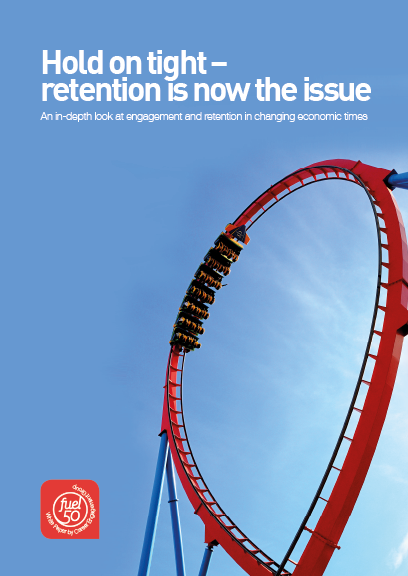 Fuel50 about employee retention: ‘Hold on Tight – Retention is now the Issue’. Their research delves into trends in the global talent market and provides “battle plans” that will assist organisations to secure and retain the best talent on the planet! 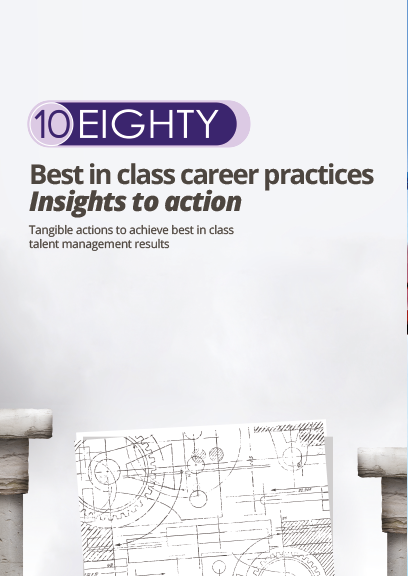 Fuel50 clearly demonstrates in this White Paper: ‘Best in class career practices: Insights to action’ how organisations taking action on career engagement improved their HR practices and HR performance, resulting in increased revenue growth, per employee and overall. 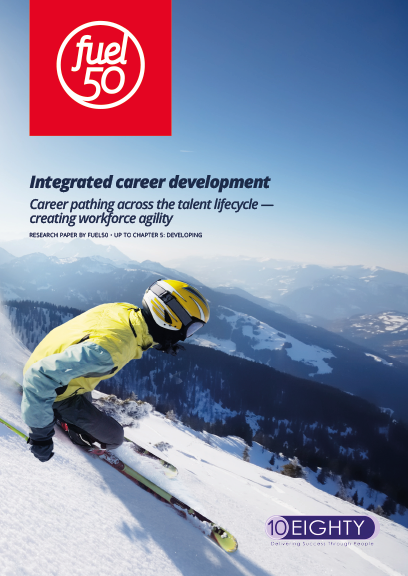 This paper, produced with our partners Fuel50 – “Integrated Career Development: Catching the Wave on Workforce Agility” – highlights how a new integrated approach to career development leads to clear business benefits. At 10Eighty, we know this approach works: matching individual career preferences with organisational needs is associated with a 70% improved performance on key business outcomes. The paper not only shows how career pathing can have dramatic impacts across the entire employee lifecycle, but also gives a clear roadmap from turning insights into practical actions. 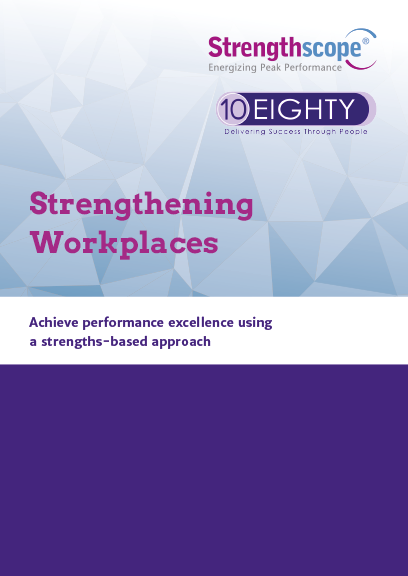 Do you know how your organisation can achieve performance excellence? You’ll find plenty of experts lining up to provide you with a definitive answer to this question, but at 10Eighty we think we’ve cracked it! Download our White Paper and you’ll discover why a strengths-based approach to talent assessment and development is being used by some of the leading companies around the world and is one of the fastest growing trends in the HR world and..
Over the last 10 years we’ve seen an increase in women on boards of directors, albeit as non-executive directors, but what’s the direction of travel as we head into the 2020s? In the latest 10Eighty White Paper – Women’s Careers: What Helps? 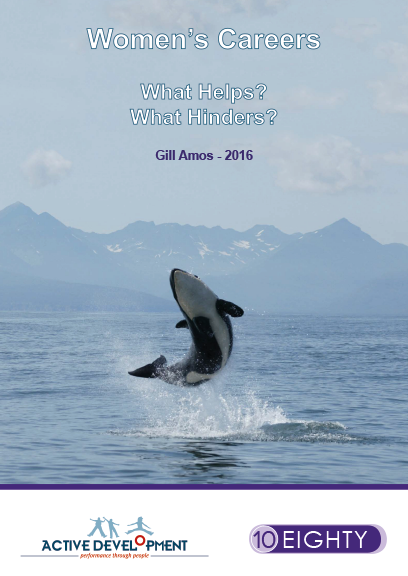 What Hinders? – we lift the lid on women in the workplace by interviewing 21 women in professional and managerial roles, some self-employed, aged 28 to 65 working in a range of sectors.